Circle your calendar, cue your cell phone, tie a string on your left thumb or do whatever it takes. The 2015 season of the Lakefield Farmers Market opens Thursday May 21st, 9 am to 2 pm and you want to be there! The site is once again the parking lot of the Lakefield arena. New and returning vendors are offering their best in agricultural products, artisanal delights and prepared foods. Always popular this time of year are bedding plants, new crop maple syrup, jams and jellies, and fresh rhubarb for that spring tonic we all need. Dress for the weather. Vendors will be at market rain or shine so have an umbrella in the car and a jacket on your arm to be prepared for what Mother Nature will offer. A little sun screen can be useful especially for little shoppers in strollers. Have a cooler in your vehicle or insulated shopping bag. Vendors will provide bags for your purchases, but temperature sensitive items are best kept cool until you get home. Parking is immediately adjacent to the market so purchased items can be quickly transferred to a vehicle cooler. Insulated shopping bags are another great way to protect your purchases. Bring your questions! 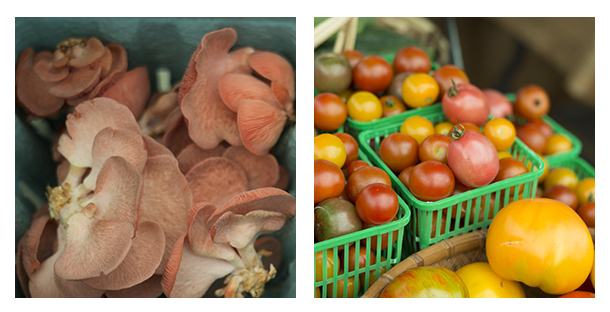 One of the beauties of a Farmers Market is the opportunity to meet and develop a relationship with vendors. Ask how they grow, produce or prepare the products they have for sale. Feel free to place orders for future needs. Plan ahead to purchase seasonal fruits and vegetables or that special artisanal gift for an upcoming occasion. Bring cash and preferably lots of it! All vendors use cash, and small bills and coins are great for making change. Some vendors also accept Kawartha Loons. You are supporting the local economy. All vendors offer items that are locally produced and they take pride in what they are offering. The long term forecast calls for pleasant temperatures for May 21st. So come out to the market and enjoy the best our local vendors have to offer! The market is open every Thursday 9am to 2 pm May 21st to October 8th, 2015. For more information, contact Market Manager Jay Adam at: manager@lakefieldfarmersmarket.com | (705) 743-7671.